As we enter 2019, some bold souls are taking a stab at predicting what will unfold in the coming year. Only God knows what will really happen, of course. However, it’s fun to make an educated projection. 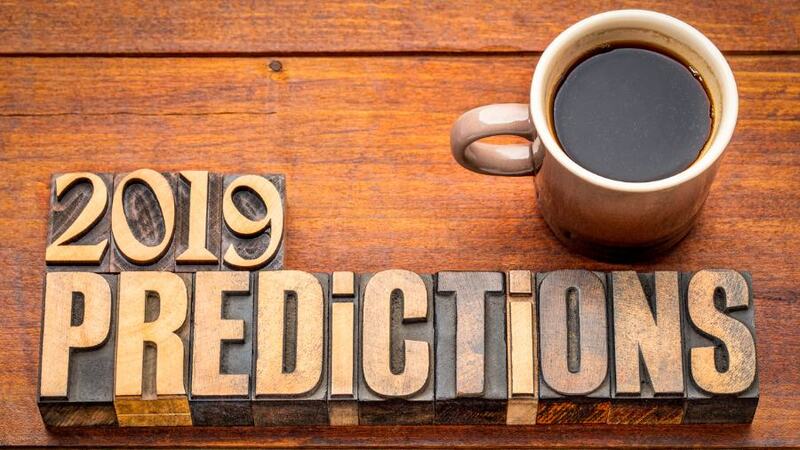 Here’s a roundup of some of the most interesting (and amusing) predictions from conservative voices for 2019. Deepfake political ads, i.e. videos of people saying things they really never said, become more sophisticated. (See the Belgian deepfake political ad of Trump here. It’s obviously fake, but the technology will get better.) So suggests Eric Spitznagel of the New York Post. Supreme Court Justice Ruth Bader Ginsburg doesn’t retire or die and ends 2019 on the court, says Geraughty. He points out that she’s survived a lot already, including three broken ribs and two bouts with cancer. Attacks against people who disagree with transgenderism increase. Facebook and Twitter ban people for “misgendering” and “deadnaming.” People lose their jobs over this. Organizations lose their grant funding. Laws are passed banning discrimination against people who identify as transgender, with discrimination defined, Alexander projects. Amidst the difficulty in making Brexit happen, Brits vote on a second referendum to make sure they still want to leave. But they choose to give up on Brexit and stay in the E.U. That’s what Liz Peek for The Hill forecasts. Facebook’s Chief Operating Officer Sheryl Sandberg leaves Facebook. The company apologized last year for multiple scandals, including ones involving user’s data and Russian trolls. Their stock dropped 26 percent during the course of the year, Peek reports. Someone’s head must roll, and it will be Sandberg’s. Michael Bloomberg runs for the 2020 presidential election as an Independent. To the delight of conservatives, this splits the democratic vote and gives Trump the win. So predicts Silvio Canto Jr. for American Thinker. There’s no end to the President’s capacity to tweet. Even if Trump were to sprain his wrist golfing, the tweets will keep coming. Al Perrotta of The Stream leaves us with that shocking prediction. There you have it. Conservatives are largely betting 2019 turns out to be another wild ride. 2018 was, so that’s easy enough to predict. We’ll soon see which predictions prove true.